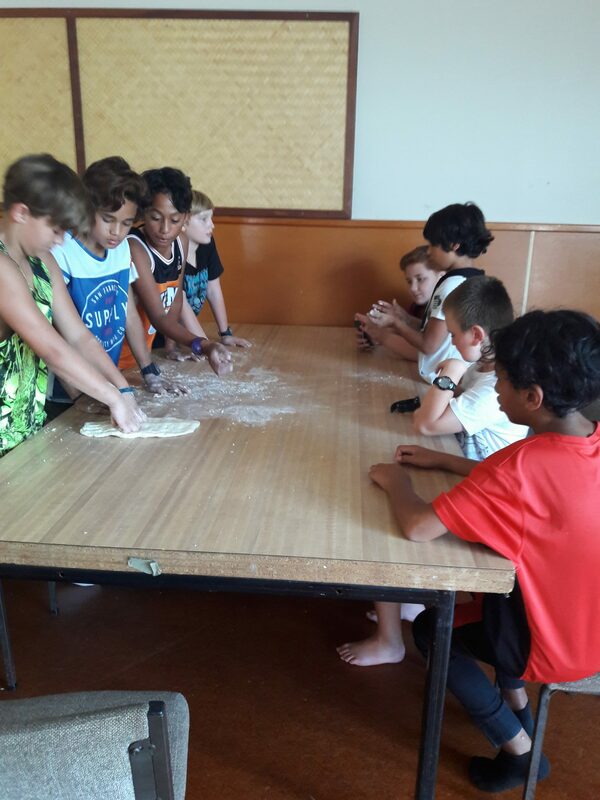 The Year 7 and 8s had the privilege of staying at the Kaka Porowini Marae overnight. 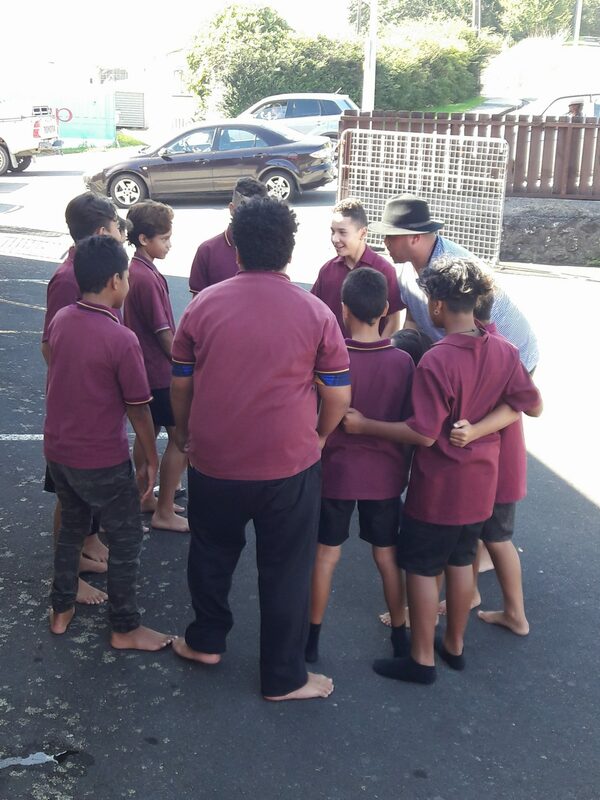 When we got to the marae we were put into lines of boys and girls and shortly after that, we were called on to the marae. 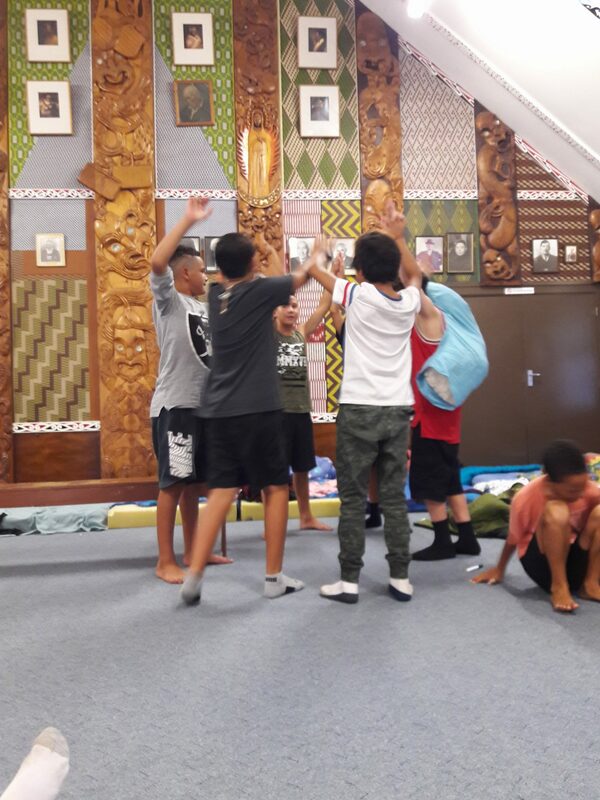 When we were inside the marae, we walked quietly to the far end of the room and looked at all the pictures on the wall and all the people who had passed away. We all took a seat and Matiu stood up and said a speech. Matiu’s wife got up when he finished and sang a song. When they finished, Boudene – one of the school navigators, stood up and said his speech then we all got up and sang a song to them. 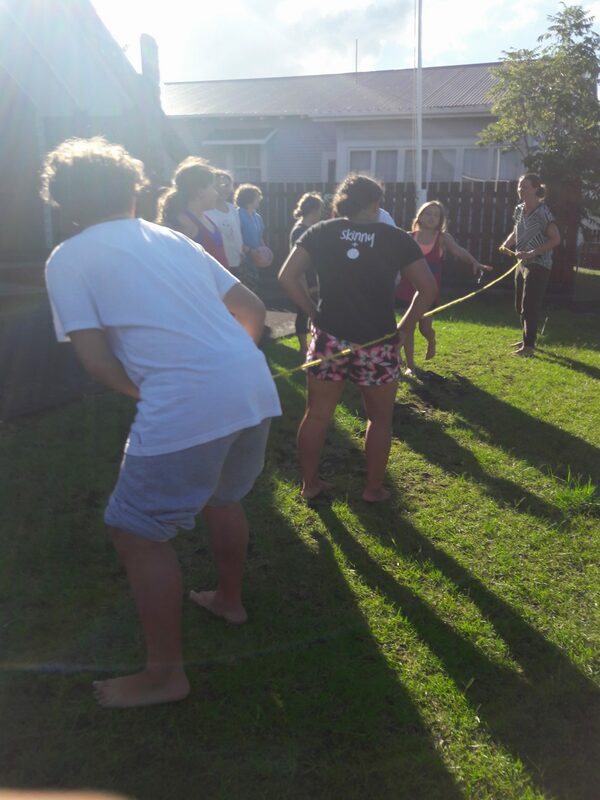 After that we got told where we were allowed and not allowed to go on the marae and when they finished talking, we went into the whare kai. We had biscuits, sandwiches and fruit. After everyone had cleaned up we played a game of volleyball and netball. At 7pm we watched our groups singing and rapping. They were really funny. Before long, it was shower time. Although we were tired, it took awhile for us to go sleep but we finally did.